All hotels as mentioned below. Hindi speaking tour director (will meet at 7 pm on day 1 & be with the group till end of day 6) on east and another tour director will take over on west staring on day 7 and ending on day 12 night of the tour. No tour director for orlando portion. WIFI AT ALL HOTELS AS WELL AS 55 SEATER COACH. N/A FOR SMALLER VANS/COACHES. (not guaranteed). 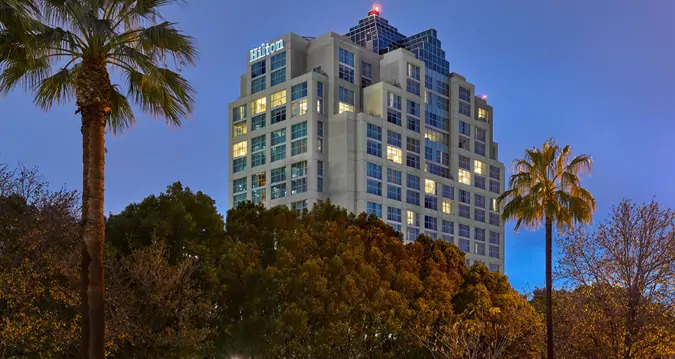 AIRPORT TRANSFER ON PRIVATE basis (FROM JFK to Hotel);Pick up from JFK to hotel; private transfer from hotel to BUF airport; Private transfer from MCO to hotel and again drop off to MCO; Private transfer from LAS to hotel. 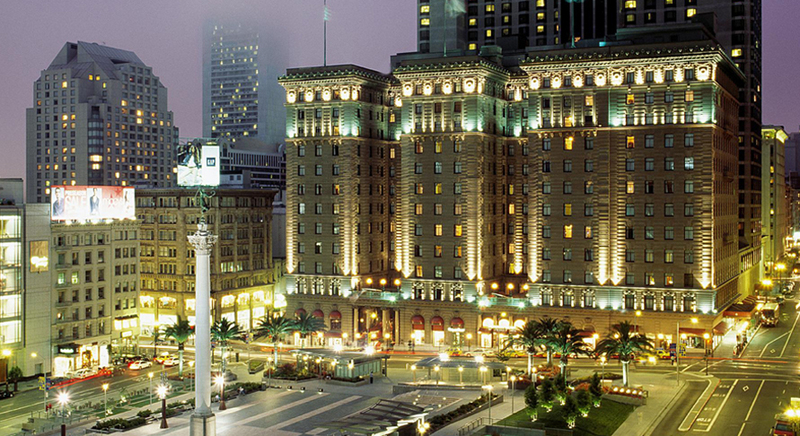 In SFO, you will be using hotel’s shuttle to the airport. Mandatory tips ($12 per person for the entire tour) to be given to the tour director on the east and $10 per person on the west for the entire tour. This cannot be pre paid. ANY TRANSFERS NOT MENTIONED IN THE ITINERARY. After breakfast, proceed to go on to the Statue of Liberty Ferry from Battery park. View the world famous iconic Statue symbolizing the country’s freedom. Lunch on own. Make a pit stop to see the “NY BULL” on Wall St. This bronze statue weighs 3200 kgs & is a symbol of financial optimism & prosperity. Enjoy a scenic view from the top of Freedom tower observation deck. This is now the tallest building on the Western Hemisphere and stands in place of Twin towers. Get down to get a closer look at Rockefeller center comprising of 19 high rise commercial buildings. Declared a national historic monument, you will be able to get quick photos of this landmark. 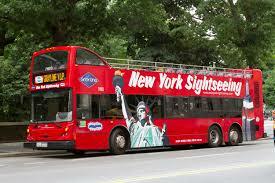 See New York at its best from a double-decker bus. In “The City that Never Sleeps,” the best sightseeing happens after the sun goes down. 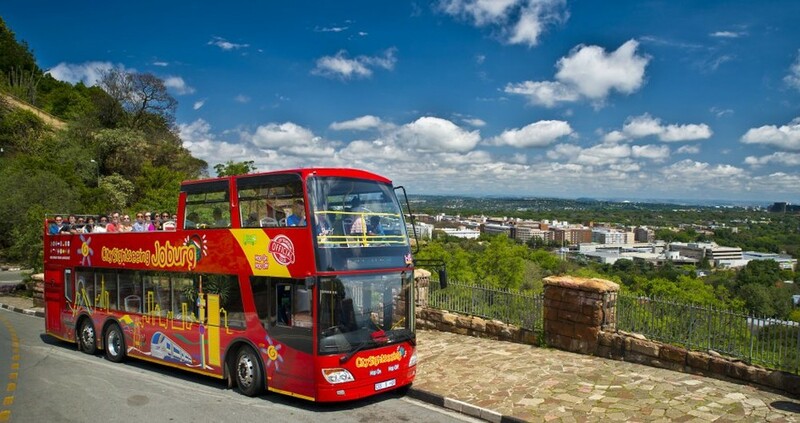 Discover the brilliant lights, stunning views and vibrant nightlife with double-decker Night Tour! Overnight at hotel. 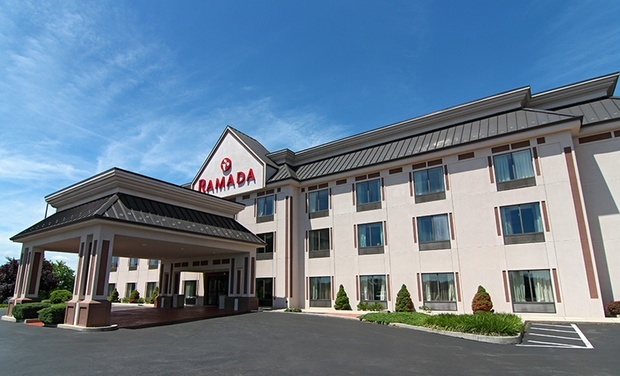 Get an early start to your day after breakfast& drive to Philadelphia (approximately 2 hours’ drive without traffic. 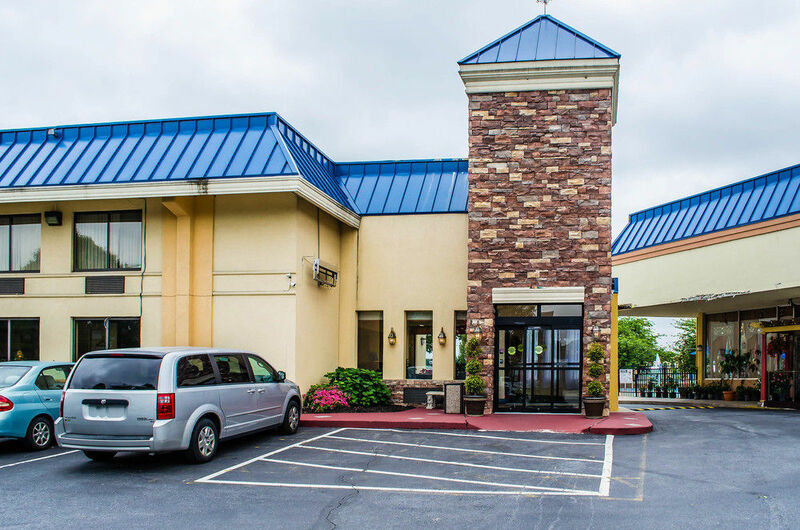 Drive to the beautiful city of Baltimore (2 hours’ drive approximately)Enjoy free time on own at Baltimore’s inner harbor offering a wide variety of restaurants, shopping, street performances and much more abroad Water Taxi. 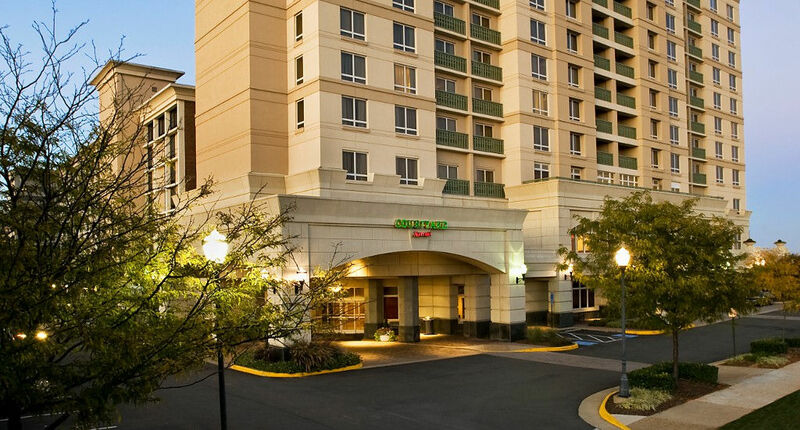 Drive to outskirts of DC to check into your hotel (approximately one hour’ drive). Dinner enroute. 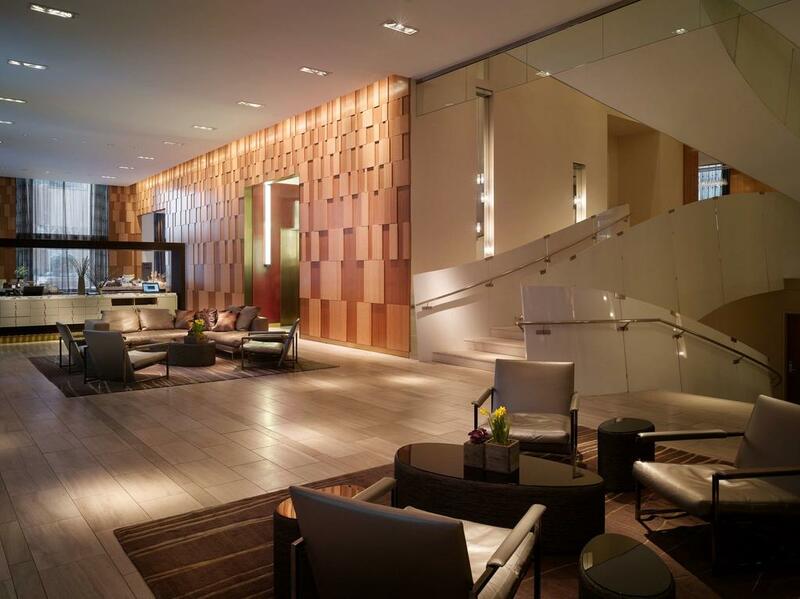 Check into Marriott Tysons or Similar. 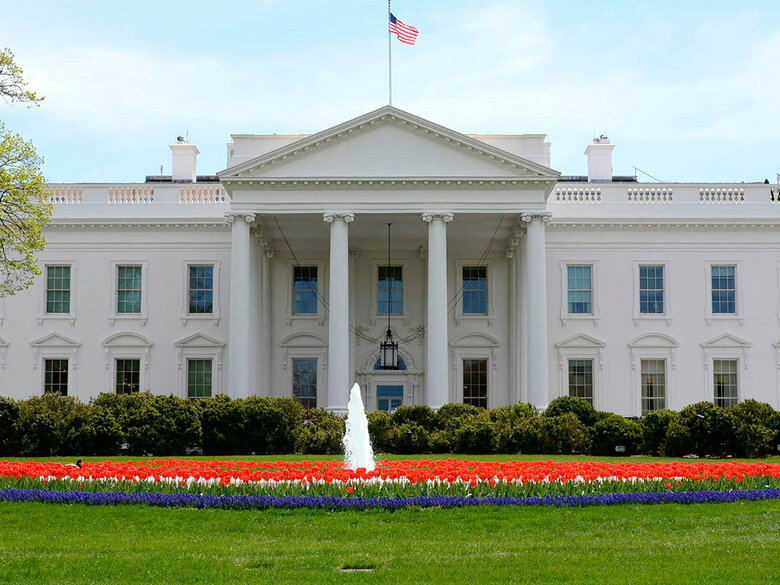 The White House is the official residence and workplace of the President of the United States. It is located at 1600 Pennsylvania Avenue NW in Washington, D.C., and has been the residence of every U.S. president since John Adams in 1800. 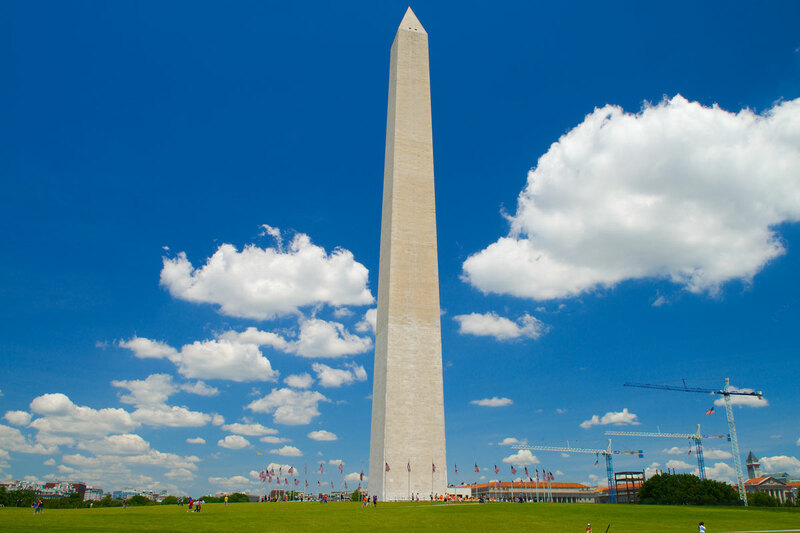 The Washington Monument is an obelisk on the National Mall in Washington, D.C., built to commemorate George Washington, once commander-in-chief of the Continental Army and the first President of the United States. 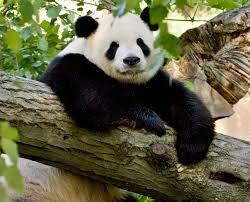 The National Zoological Park, commonly known as the National Zoo, is one of the oldest zoos in the United States. 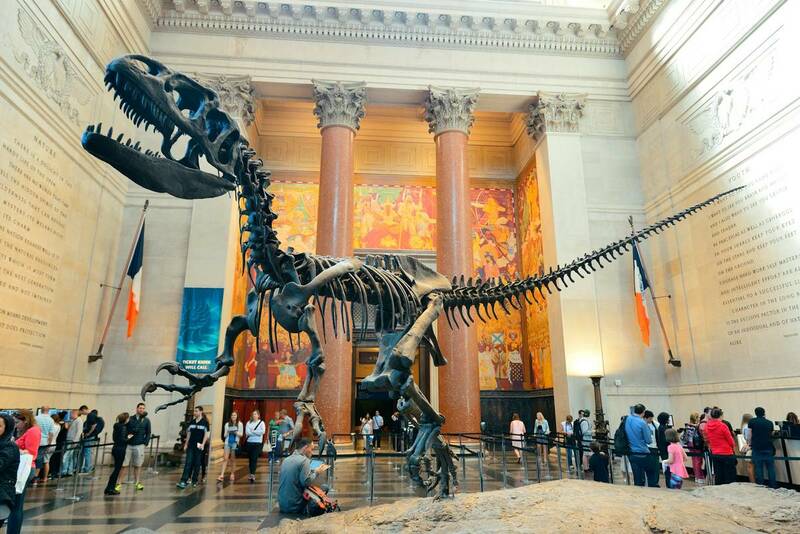 It is part of the Smithsonian Institution and does not charge for admission. 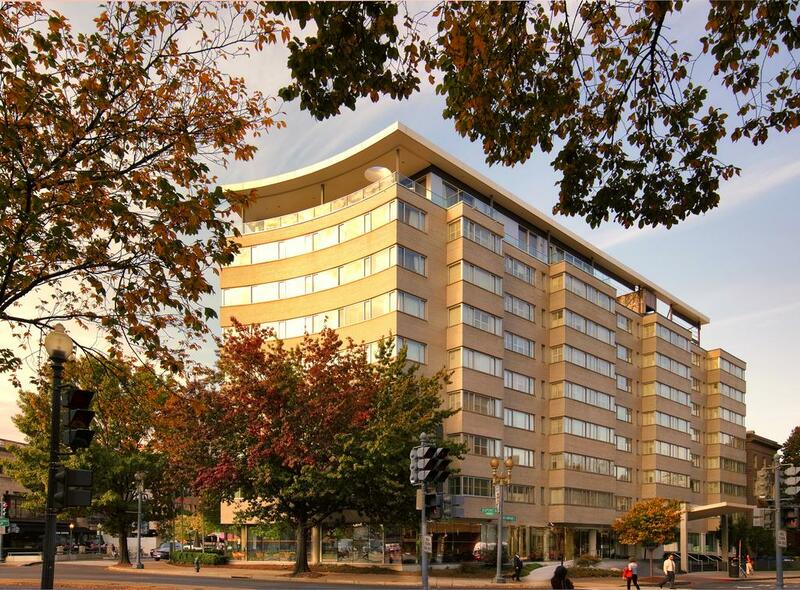 Enjoy city tour of DC with a specialized guide covering all the major landmarks. 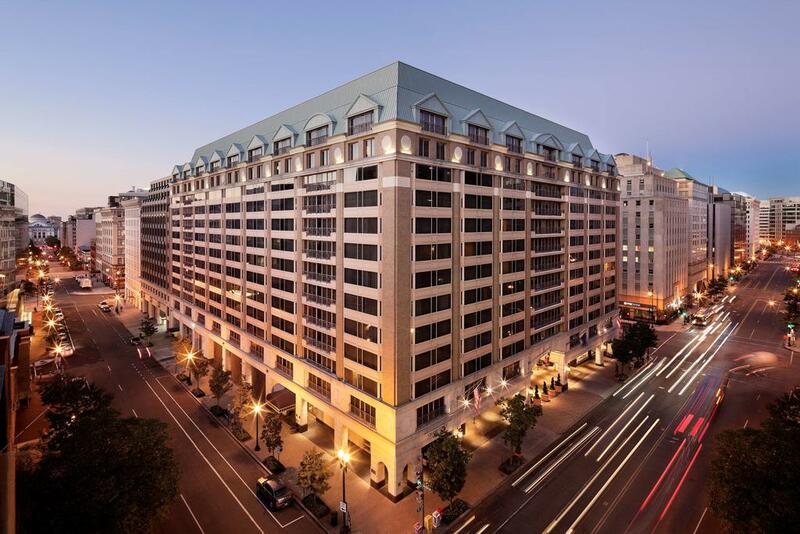 See all the key attractions in DC and learn about the history and trivia that surrounds Washington on this interactive tour of the capital city.You will visit the major monuments on this quick and efficient. At the end of the city tour, you will be given time at Air & space museum (1 hour and 30 minutes)to view all the different exhibits related to space & Aeronautics. Lunch on own. Proceed to Hershey’s Chocolate world & enjoy a ride depicting the various stages of chocolate making. 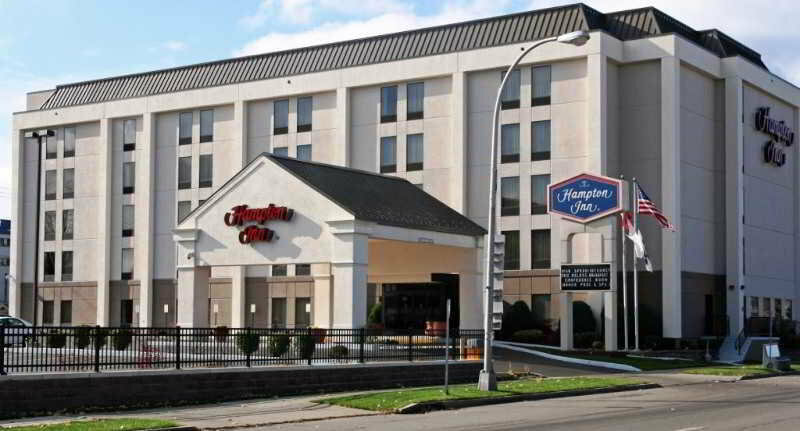 Dinner at Indian restaurant & check into Hotel (Hilton Harrisburg or Similar). Hersheypark is a family theme park situated in Hershey, Derry Township, Pennsylvania, United States, about 15 miles east of Harrisburg, and 95 miles west of Philadelphia. 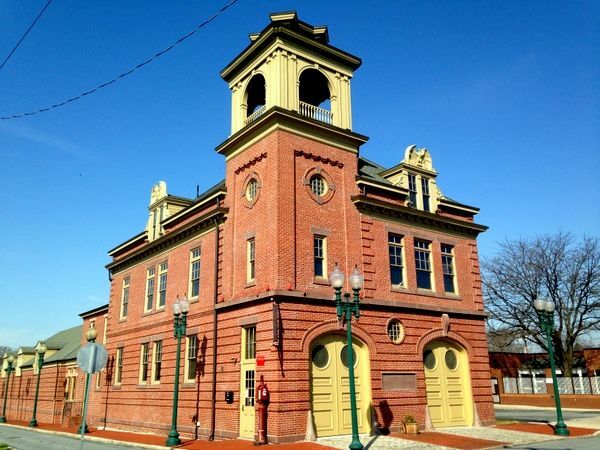 The Pennsylvania National Fire Museum is a museum devoted to fire fighter heritage in Harrisburg, Pennsylvania, United States. 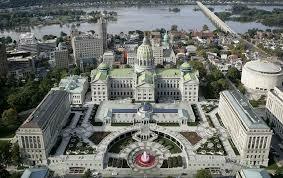 After breakfast, proceed to do the Pennsylvania Capitol tour (if open for tours)& The Pennsylvania State Capitol is the seat of government for the U.S. state of Pennsylvania and is in downtown Harrisburg. 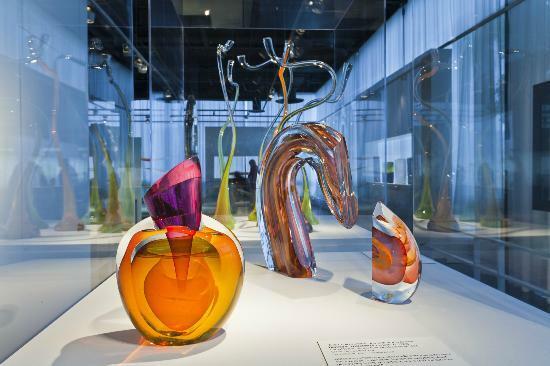 drive to Corning Glass museum(approximately 3 hours) to view over 40,000 objects representing more than 3500 years’ of glass making. Lunch on own. Proceed to Niagara Falls (approximately 2 hours of drive). Dinner at Indian restaurant enroute. 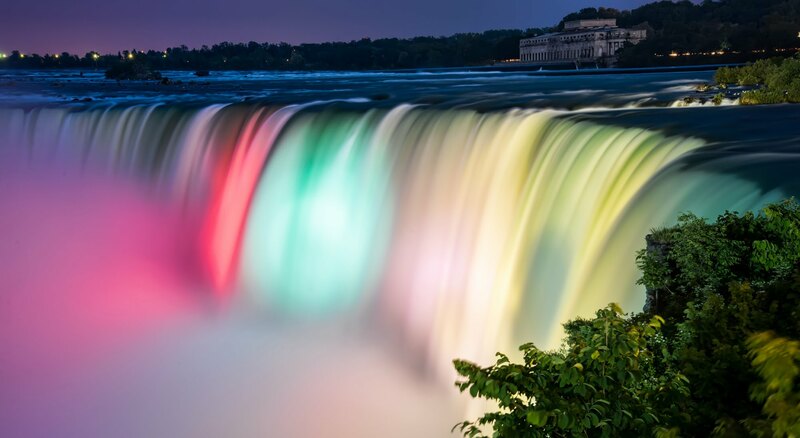 View the illumination of falls at night. 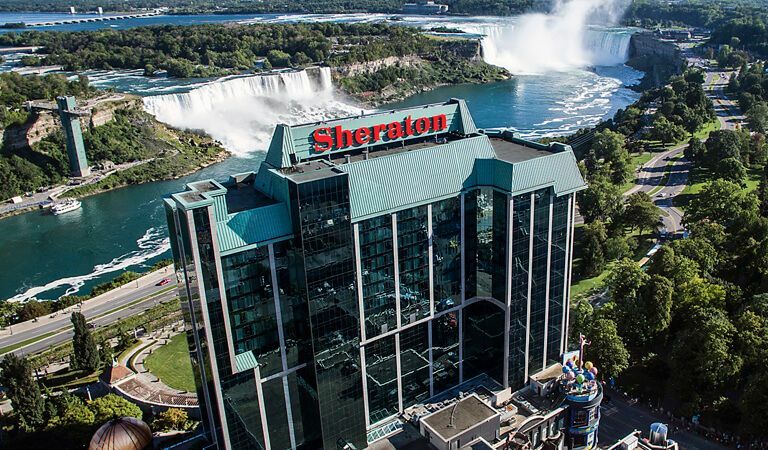 This illumination includes a range of colors that alternate throughout the evening and shine over all of Niagara Falls& stay overnight at hotel . 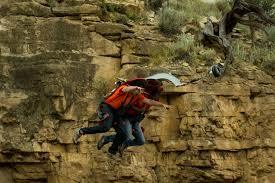 Cave of the Winds, you will take an elevator ride- 175 feet below to get to a feel the power of Falls first hand. Geared-up in a souvenir rain poncho and specially designed sandals, guests follow wooden walkways along Niagara River to the Hurricane Deck. Do not forget to take extra pair of clothes as you will definitely get wet. 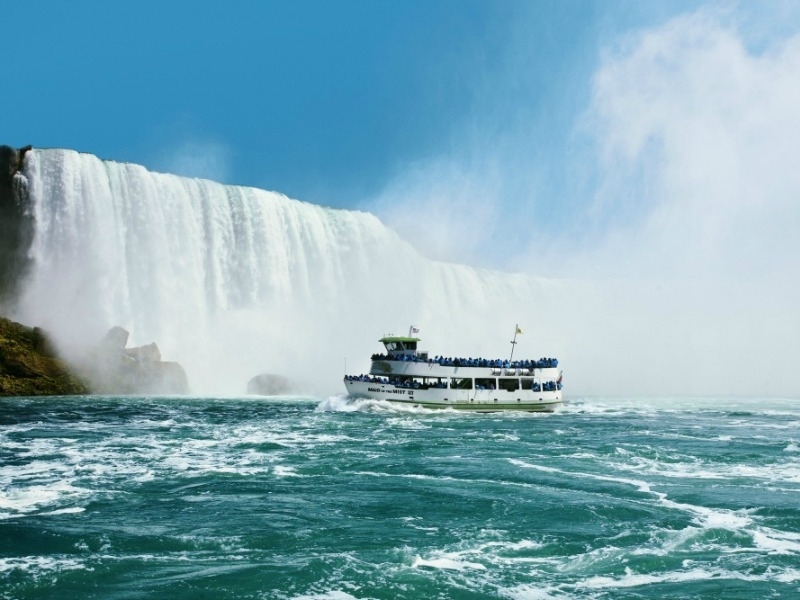 You will also take a closer look at the Bridal veil falls in a boat ride abroad Maid of the mist. Lunch on own. Evening Free on own. Dinner at Indian restaurant & overnight at hotel. 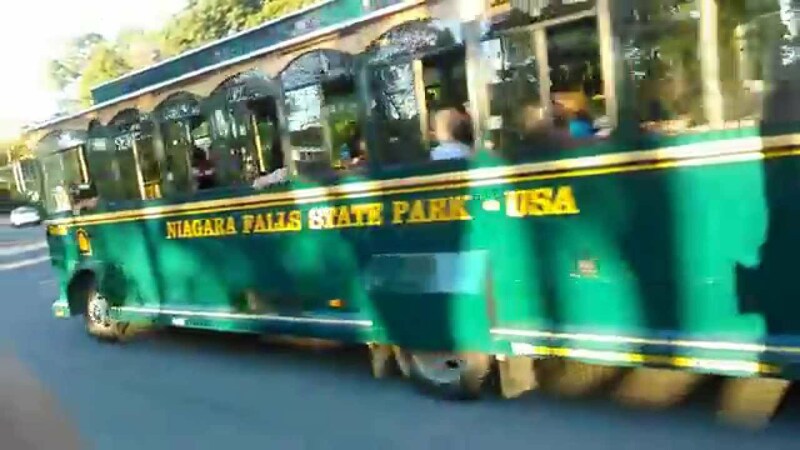 it is more beautifully niagara fall fun activites This guided Niagara Falls Trolley gives passengers an overview of the park and offers historical anecdotes, fun facts, and tips for checking out the park’s most popular attractions. You will be taken around the city in a Double-deckerbus where your guide will explain all about Sin city. As dusk falls, the city turns on. 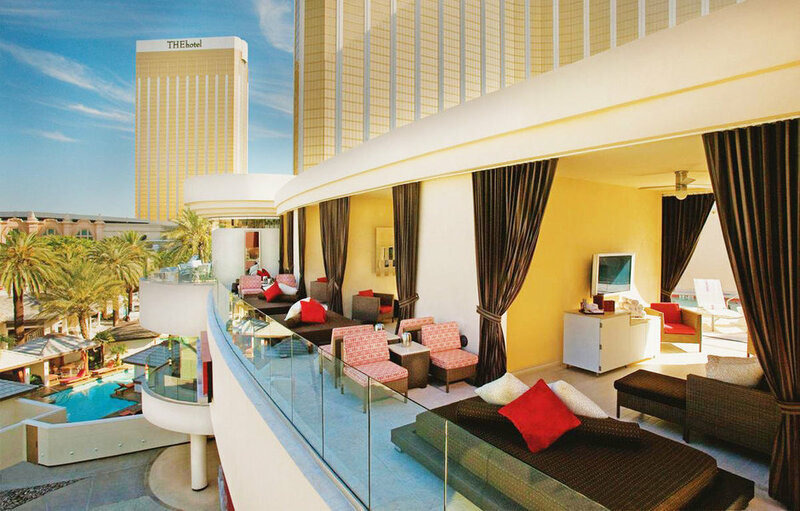 See the dazzling neon lights as you travel down the strip and roll past casinos, wedding chapels and historic landmarks into the heart of downtown. This canyon experience brings together three of the most popular activities available at Grand Canyon West. Guests enjoy a helicopter tour from the Las Vegas area over Hoover Dam, Lake Mead before descending to the bottom of the Grand Canyon. 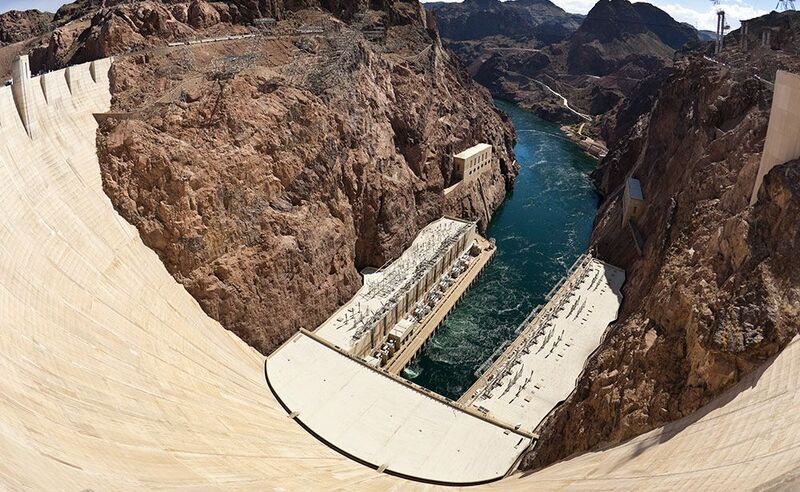 Hop aboard a motor coach for an incredible tour of Hoover Dam! This tour includes photo opportunities of the dam from the O’Callahan-Tillman Memorial Bridge and a VIP interior tour of Hoover Dam. The Golden Eagle Air Tour is perfect for Las Vegas guests who are pressed for time and desire to see as much of the Grand Canyon as possible. 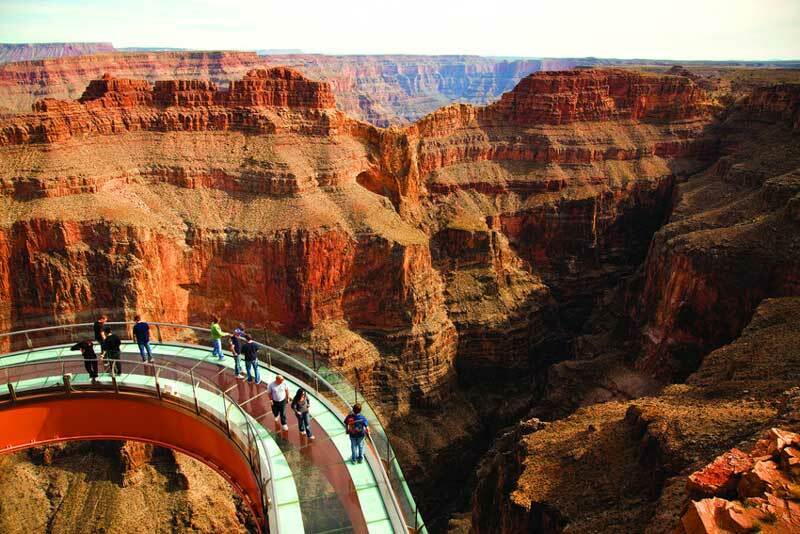 This tour includes aerial views of the Hoover Dam and Lake Mead as well as the spectacular Grand Canyon. 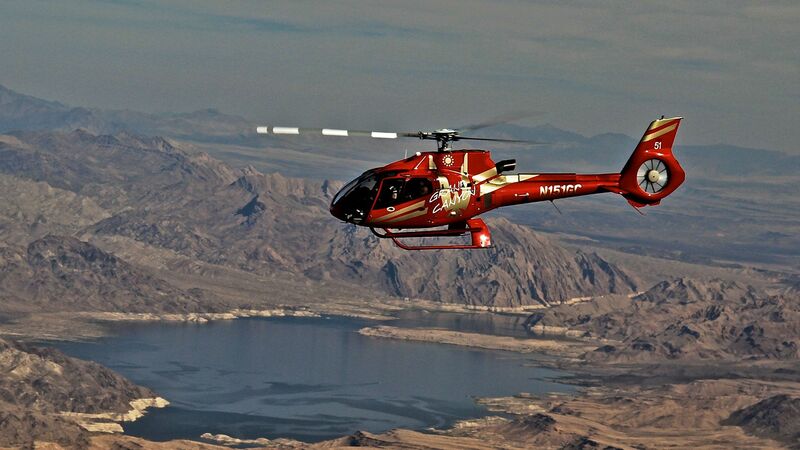 Enjoy incredible aerial views of Hoover Dam and Lake Mead on your way to the Grand Canyon. Land at the bottom of Grand Canyon West and enjoy a champagne picnic with time to explore. 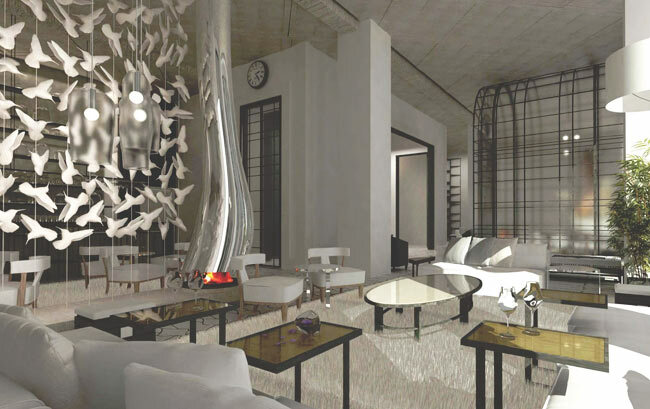 Visit OUE Skyspaceand experience a Panoramic 360-degree View from the second tallest building West of Mississippi. The building structure is designed to withstand earthquakes to the magnitude of 8.3 on richter scale. 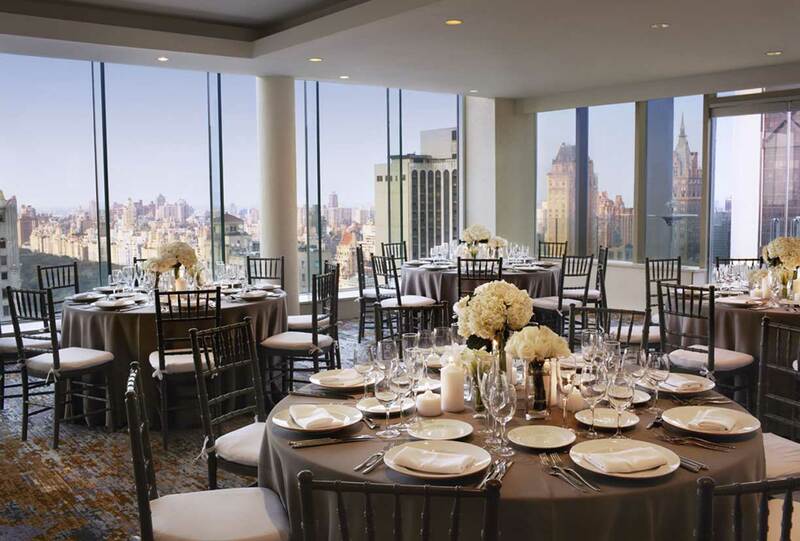 You will be taken to the 70th floor to get a wonderful view of the city. You can also slide from one level of the building to another to get a glimpse of the city in its glory. 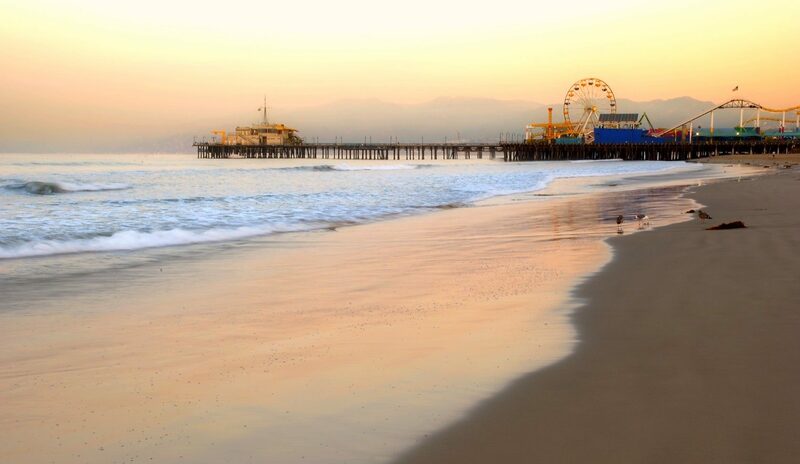 drive to Santa Monica Beach& enjoy a relaxed time at the Pier. With a carousel, an arcade, an amusement park, restaurants, the Santa Monica Pier offers a wide range of activities for the whole family. Proceed for city tourof Los Angeles. 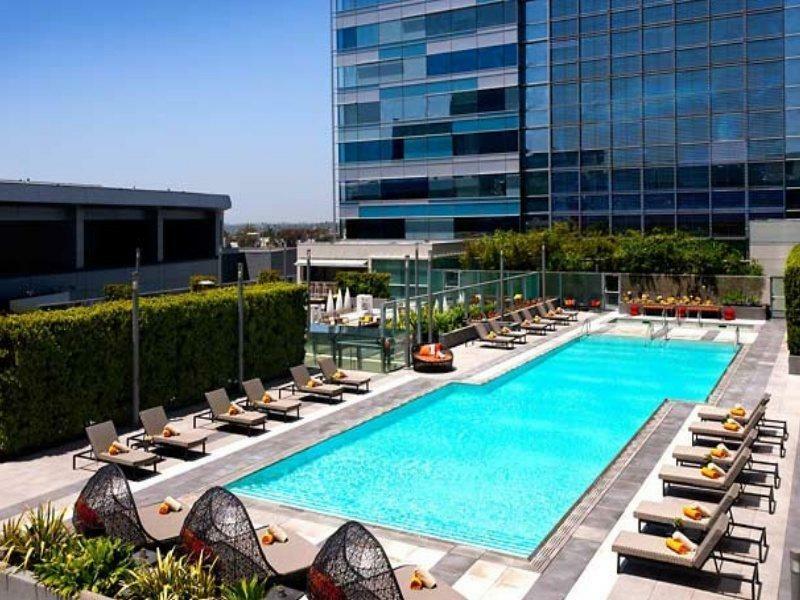 Enjoy a guided tour of Los Angeles by our experienced tour guide. Drive through the busy streets of Avenue of Stars, Kodak theater and rodeo drive.Get your picture of the famous Hollywood sign from one of the vantage points. 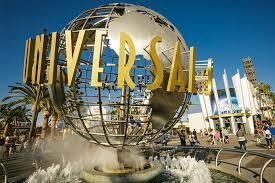 You will then be taken to Universal Studiosto enjoy the full day at the park. 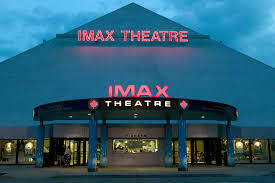 This Sprawling Amusement park with thrilling theme rides, restaurants, shows, shops and one of the oldest real working movie studio in use is definitely a unique & fun filled experience for the whole family. Griffith Park, in the eastern part of the Santa Monica Mountains, and covering an area of 4,210 acres, is the largest state park in California. 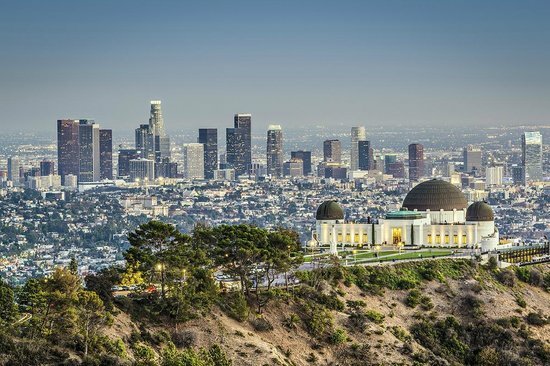 The park is home to the Los Angeles Zoo, the Griffith Observatory, a planetarium, a Greek theater, a riding center created for the 1984 Olympic Games, golf courses, tennis courts, hiking trails, and other attractions. 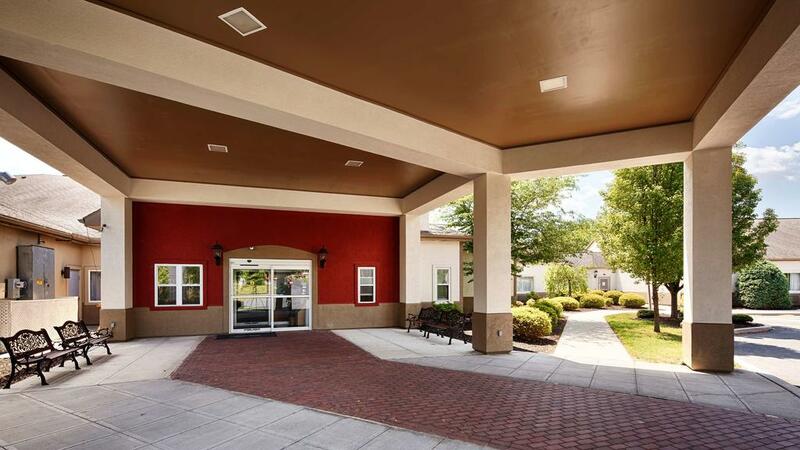 Walking trails and scenic drives through the mountains offer views over the city and beyond. The Griffith Observatory is one of the city's most interesting experience-based attractions, and it's all free to the public. On the grounds are exhibits and telescopes. The main highlight is a look through the Zeiss telescope, used for viewing the moon and planets. You can use the telescopes free each evening the facility is open. Also on site are solar telescopes used for viewing the sun. The park and observatory are named for Griffith J. Griffith, who donated the greater part of the parkland to the city in 1896 and willed funds to the city for the creation of the observatory. 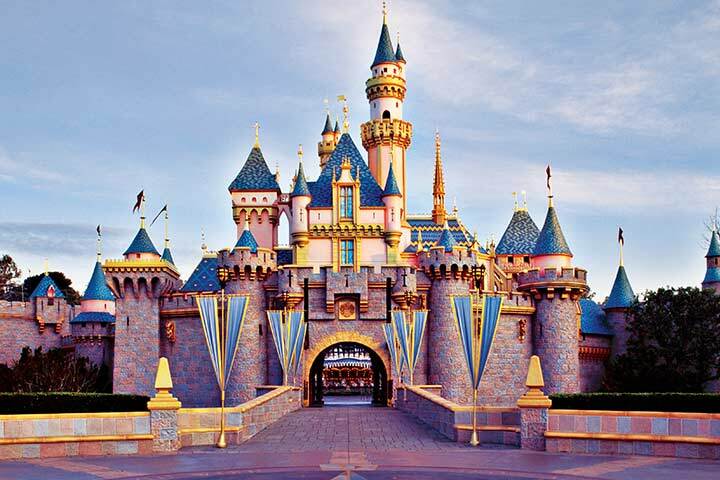 Just outside Los Angeles, Disneyland is California's premier family vacation destination. Disneyland Park, with rides and experiences in elaborately created theme sets, is what most people picture when they imagine Disneyland. The Disneyland California Adventure Park, created during one of the expansions, holds even more action and adventure, with seven lands based on movie themes. 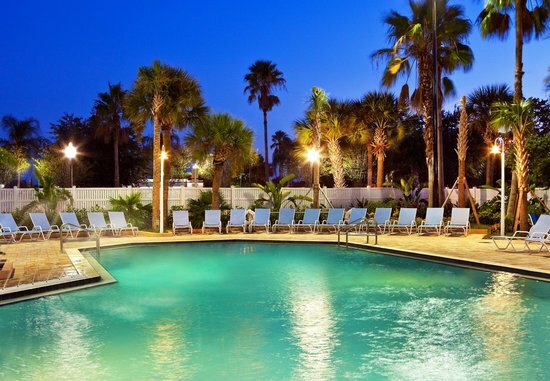 Beyond the rides and Disney characters wandering the streets, the resort also offers a full complement of features and services for a complete vacation. Hotels, restaurants, shopping, and all kinds of entertainment options are available at Disneyland Resort. 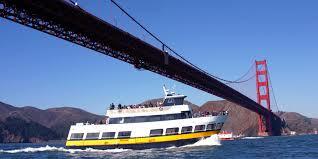 After breakfast at the hotel, enjoythe amazing skyline of San Francisco on BAY CRUISEwith spectacular views of Alcatraz, Golden Gate bridge & Bay Bridge. An Audio tour in 16 languages is available to get detailed history of this great city. 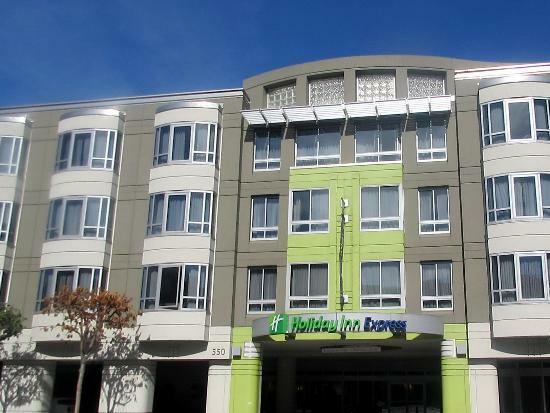 Your guide today will cover all the major highlights of the city in an in-depth city tour including TWIN PEAKS, San Francisco's Twin Peaks are two prominent hills near the center of the city. 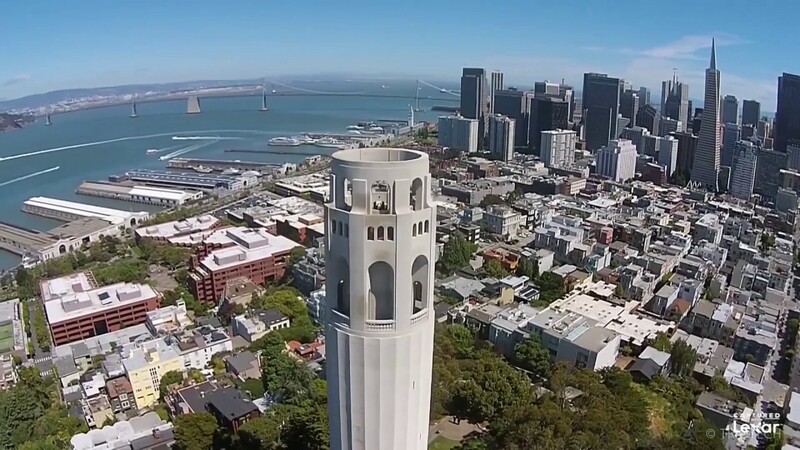 Each one stands at about 922 feet tall, and they offer amazing views of the Bay Area all the way down to the water. The Flyer SFis the perfect way to end your tour. Enjoy buffet dinner at Indian restaurant. The Golden Gate Bridge is a California icon gracing San Francisco Bay. It is the most photographed site in the city, with the orange structure backed by blue water, or in many cases, peaking through low lying cloud. At night, the flood-lit structure is equally striking. Connecting San Francisco with Marin County and other districts further north, the Golden Gate Bridge was, at one time, designated the greatest man-made sight in the United States by the U.S. Travel Service. Opened on May 28th, 1937, the bridge took four years to build and at the time of its completion, was the longest suspension bridge in the world, measuring approximately two miles in length. The historic and notorious Alcatraz penitentiary, located on Alcatraz Island in San Francisco Bay, is one of America's most infamous prisons. It operated for almost thirty years, closing in 1963 and re-opening as a tourist attraction in 1973. 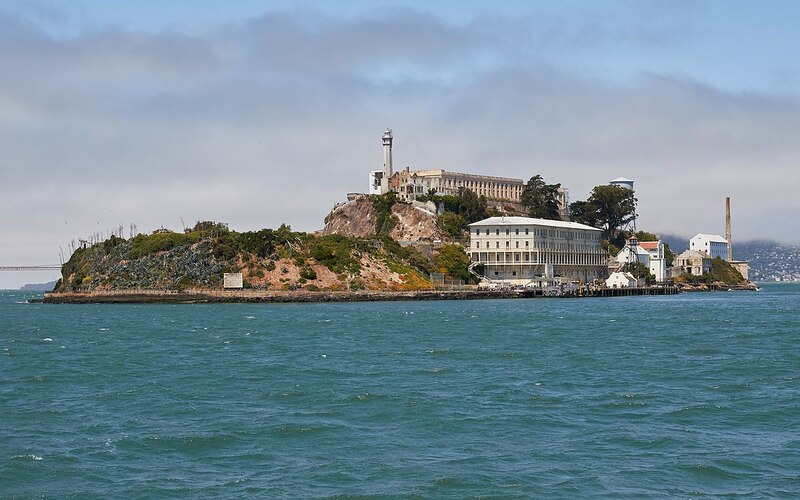 Some of America's most well-known criminals were inmates here, including Al Capone and the "Birdman," who would later form the basis for the fictional movie The Birdman of Alcatraz. You can take a ferry over to the island and tour the site while listening to an exceptional audio recording that offers a glimpse into life in the prison, rather than just a historical list of the facts. The narration is even voiced by former inmates and guards of Alcatraz. Cable Cars were introduced in 1873 to help locals contend with the many hills the city is built on. Today, the few remaining cable cars offer tourists a great way to explore the city in historic fashion. Since 1964, these tram-like vehicles have had the unique distinction of being the only public transport system to be declared a historic monument. The Powell-Mason and Powell-Hyde are the most scenic routes. 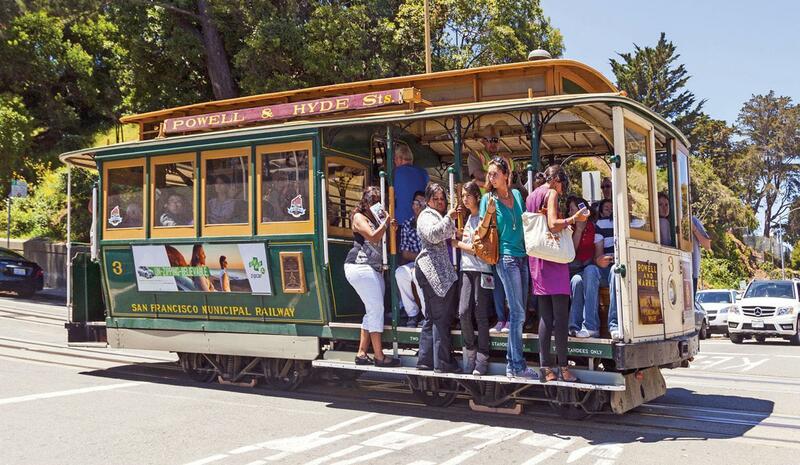 The cable cars will also get you to the major attractions such as Fisherman's Wharf, Ghirardelli Square, the Ferry Building, Nob Hill, and Lombard Street. If you are planning on more than a couple of rides or are going to be sightseeing for a few days, you should consider buying a pass. 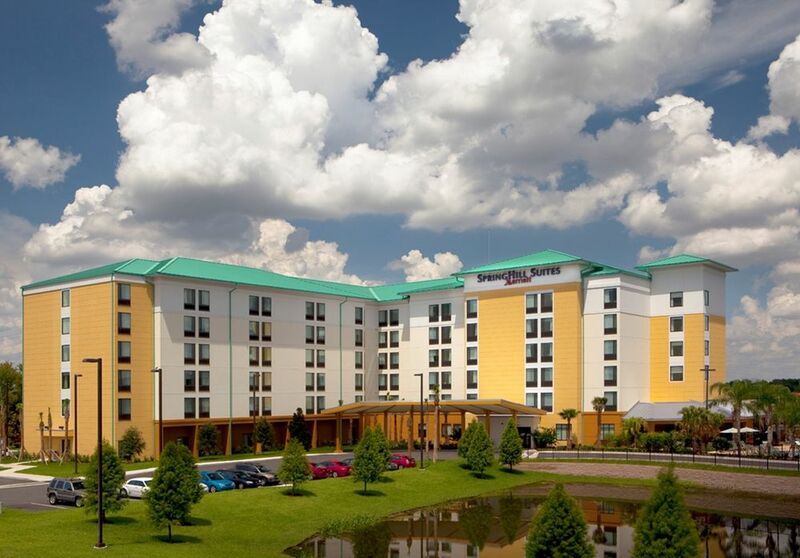 After breakfast, please check with the front desk regarding shuttle timings to Magic Kingdom. This will be a round trip transportation provided from the hotel. Enjoy a full day at the park. YOU WILL NEED TO CARRY YOUR PHOTO ID TO PICK UP TICKETS FROM WILL CALL WINDOW. 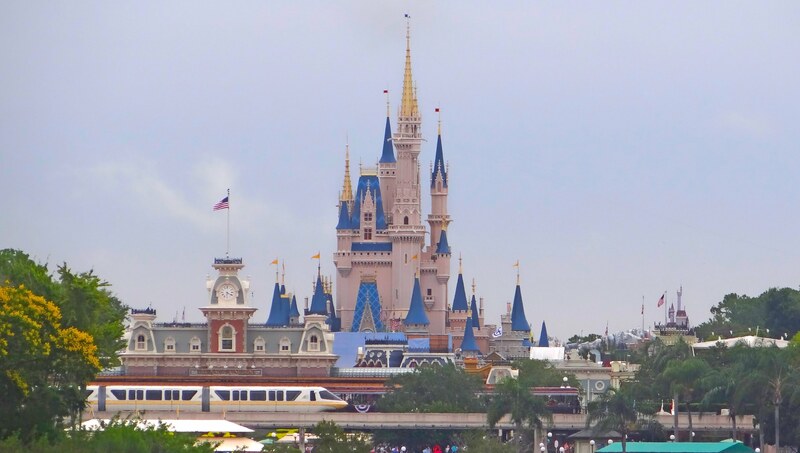 The Walt Disney World, officially as Walt Disney World Resort is an entertainment complex in Bay Lake and Lake Buena Vista, Florida, near Orlando and Kissimmee, Florida. 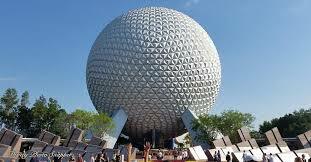 Epcot is a theme park at the Walt Disney World Resort in Bay Lake, Florida. 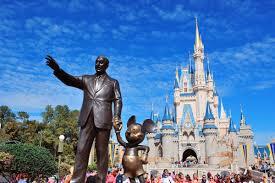 It is owned and operated by the Walt Disney Company through its Parks and Resorts division. 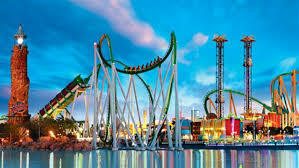 Universal's Islands of Adventure is a theme park in Orlando, Florida. It opened on May 28, 1999, along with CityWalk, as part of an expansion that converted Universal Studios Florida into the Universal Orlando Resort. 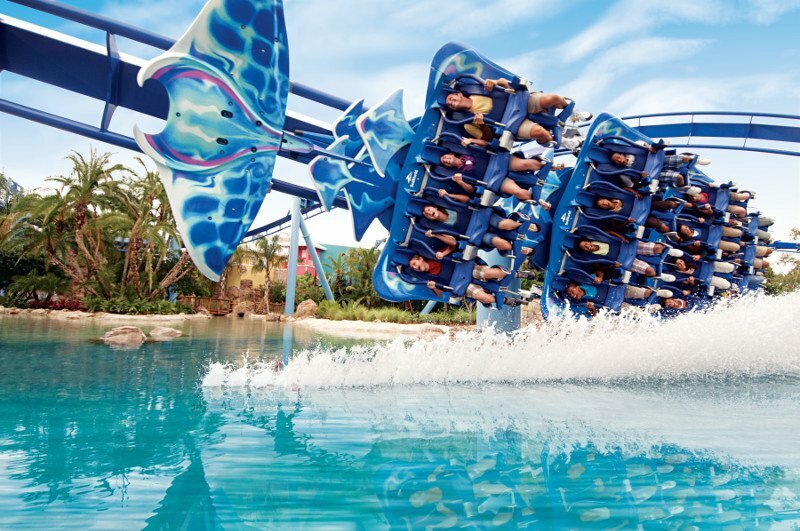 SeaWorld Orlando is a theme park and marine zoological park, located in Orlando, Florida. It is owned and operated by SeaWorld Parks & Entertainment. 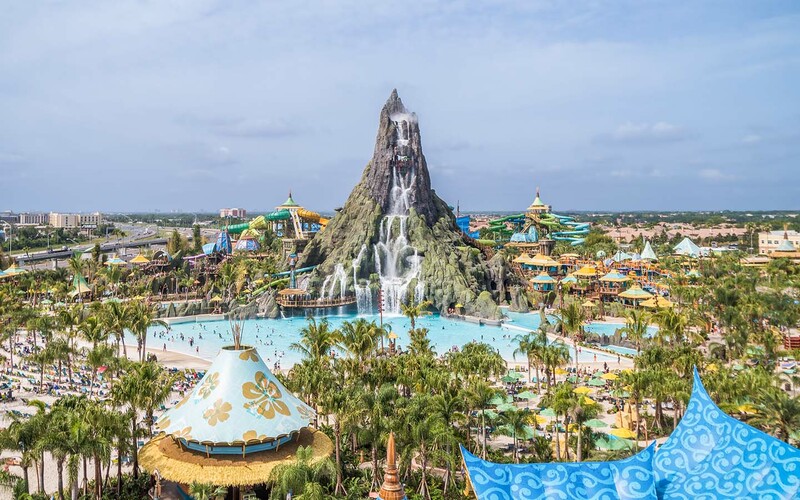 Universal's Volcano Bay Water Theme Park, or Volcano Bay, is a themed water park at Universal Orlando Resort in Orlando, Florida. Welcome to NY!!!! Our representative will be at the airport for private pick up. Driver will be at the Baggage claim for Domestic arrivals and Currency exchange for International arrivals Experience a World class New York hotel located in Fashionable area of Midtown Manhattan when you check intothe Luxurious midtown property LE PARKER MERIDIEN with breathtaking views of Central Park and the Manhattan skyline. (Check in time 3 PM). 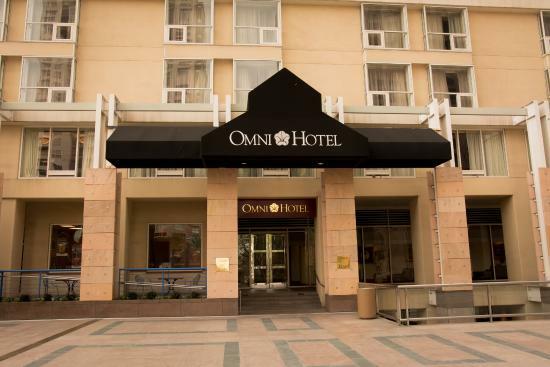 ****Please note that the hotel may take your Credit card at the time of check in towards Incidentals. The hold on the card will be released once the guests check out if no charges are incurred********** Porterage is not included in the cost. 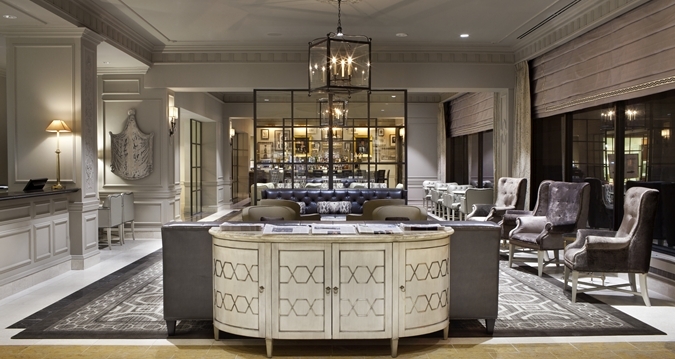 Meet your tour manager at 7 pm in the hotel lobby to start the tour. 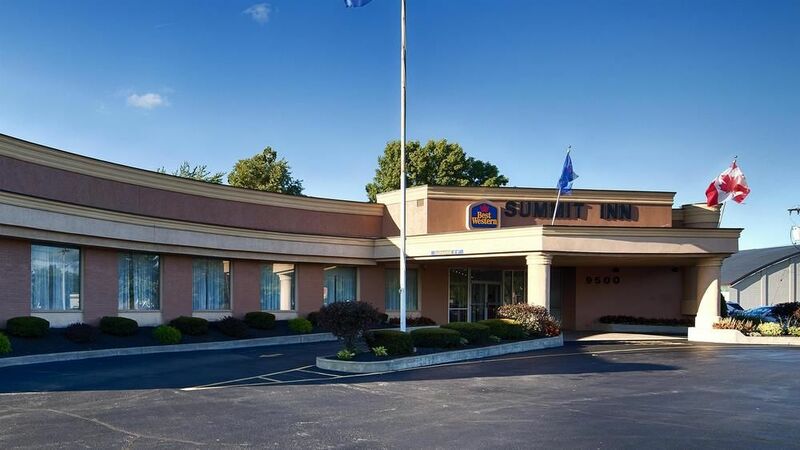 Enjoy a wonderful buffet Indian dinner at restaurant (walking distance). 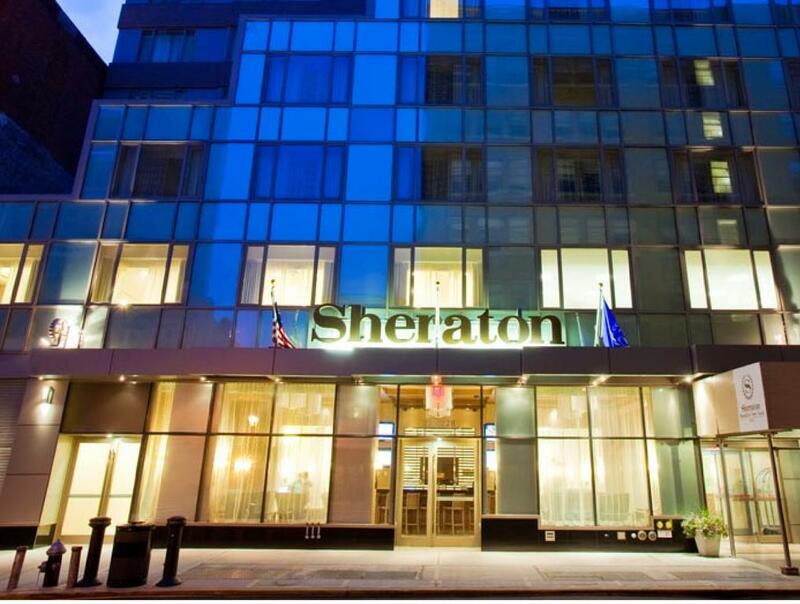 After dinner, enjoy free time at Times Square on ownto see the city in action at night. Overnight at Hotel. 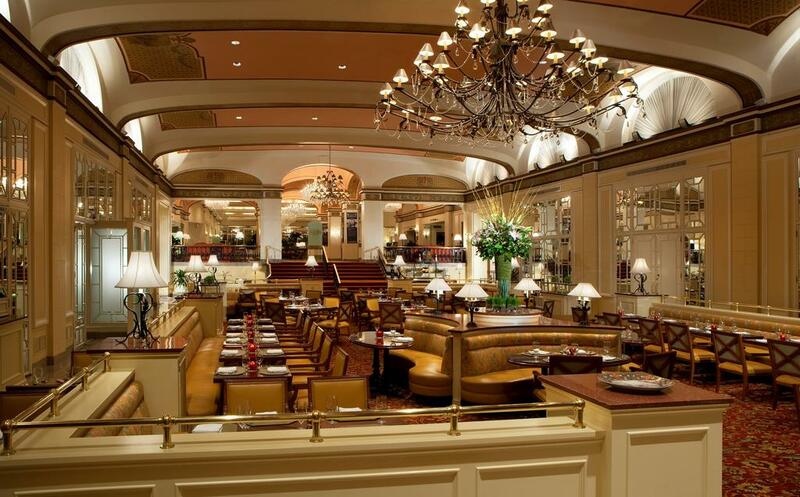 Depart from the hotel at 8 am in the morning for your breakfast at an American restaurant. After breakfast, proceed to go on to the Statue of Liberty Ferry from Battery park. 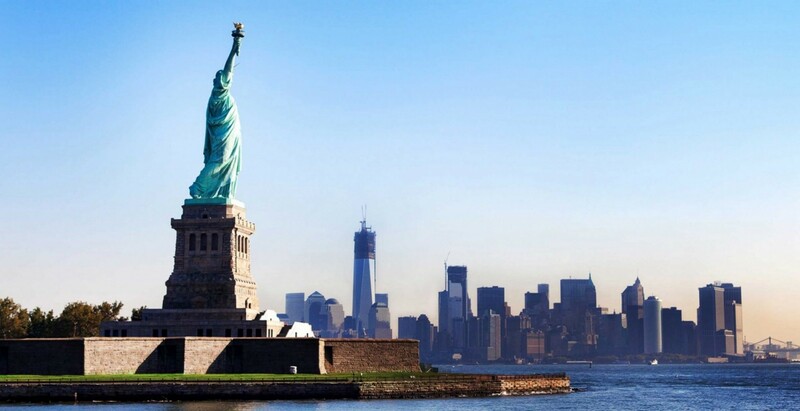 View the world famous iconic Statue symbolizing the country’s freedom. Lunch on own. 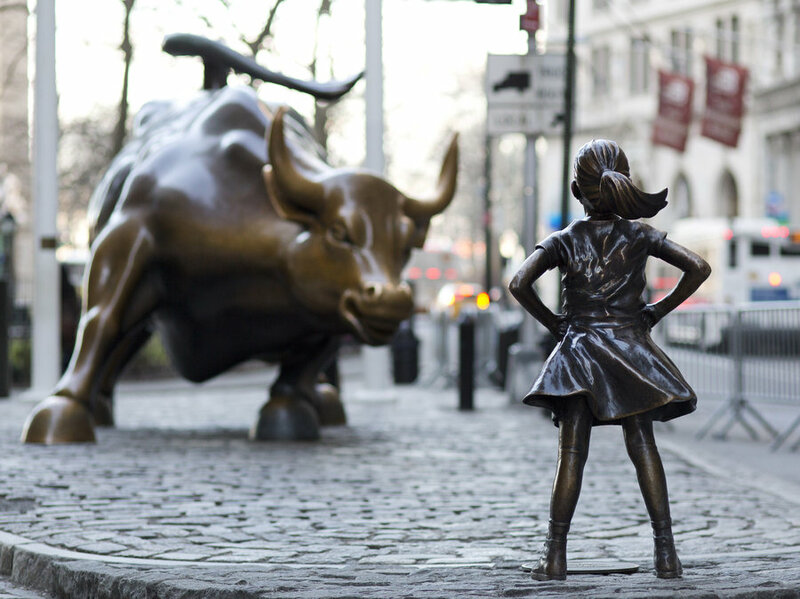 Make a pit stop to see the “NY BULL” on Wall St. This bronze statue weighs 3200 kgs& is a symbol of financial optimism & prosperity. Enjoy a scenic view from the top of Freedom tower observation deck. This is now the tallest building on the Western Hemisphere and stands in place of Twin towers. 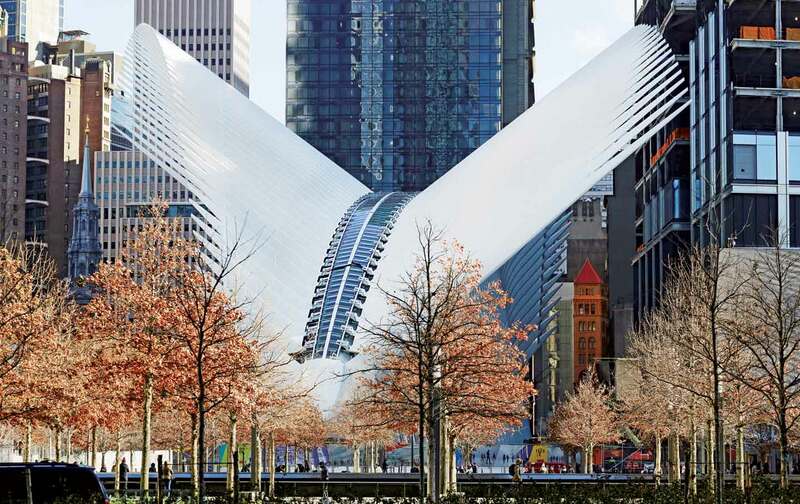 We will make a photo stop at Ground Zero (entrance to 9/11 memorial is not included). 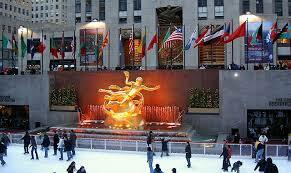 Get down to get a closer look at Rockefeller center comprising of 19 high rise commercial buildings. Declared a national historic monument, you will be able to get quick photos of this landmark. Explore Souvenir shopping to take some excellent mementos back home. Dinner at Restaurant. See New York at its best from a double-decker bus. In “The City that Never Sleeps,” the best sightseeing happens after the sun goes down. Discover the brilliant lights, stunning views and vibrant nightlife with double-decker Night Tour! Overnight at hotel. 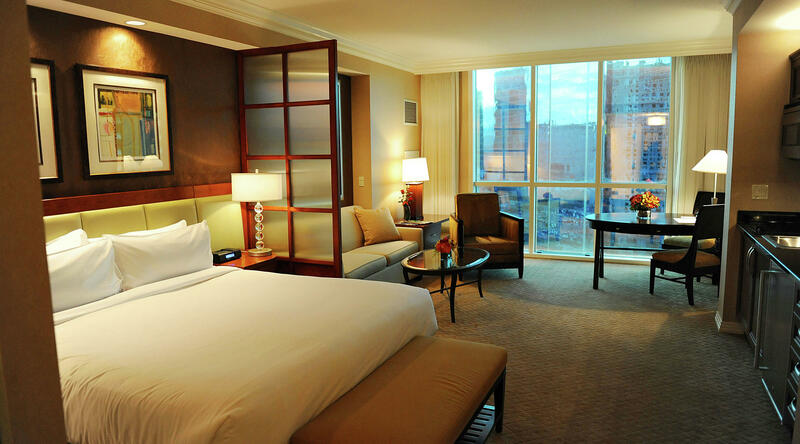 Get an early start to your day after breakfast& drive to Philadelphia (approximately 2 hours’ drive without traffic. 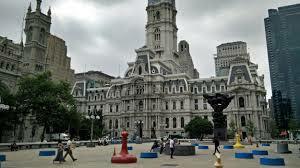 Enjoy an entertaining tour of the largest city in Pennsylvania state (guided city tour). Our entertaining tour guide is a history buff, and he will relate the love of the city and a real sense of Philadelphia’s place in history to the group. Lunch on own. 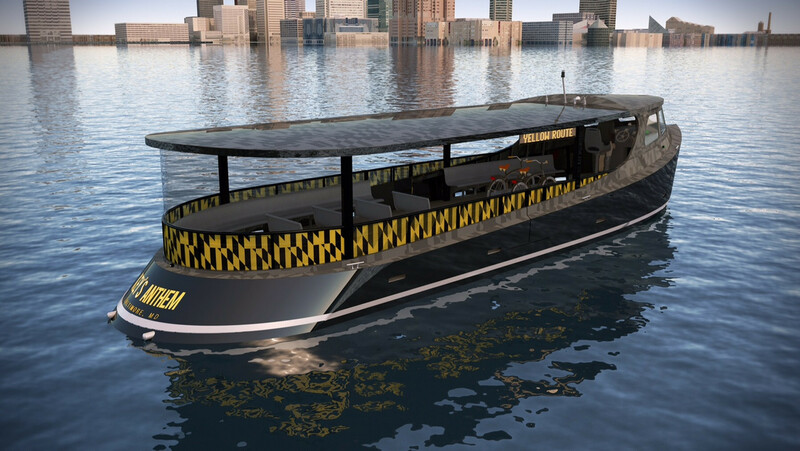 Drive to the beautiful city of Baltimore (2 hours’ drive approximately) Enjoy free time on own at Baltimore’s inner harbor offering a wide variety of restaurants, shopping, street performances and much more abroad Water Taxi. 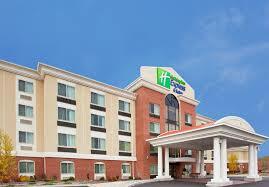 Drive to outskirts of DC to check into your hotel (approximately one hour’ drive). Dinner enroute. Today after breakfast, Enjoy city tour of DC with a specialized guide covering all the major landmarks. 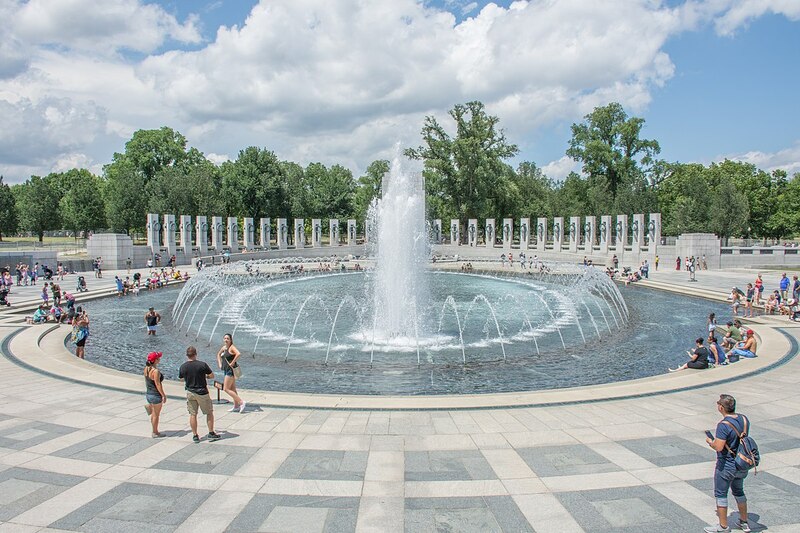 See all the key attractions in DC and learn about the history and trivia that surrounds Washington on this interactive tour of the capital city.You will visit the major monuments on this quick and efficient. 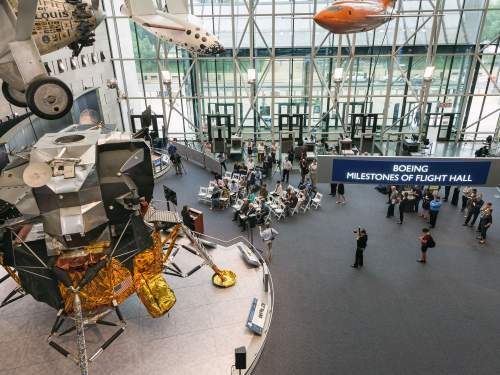 At the end of the city tour, you will be given time at Air & space museum (1 hour and 30 minutes)to view all the different exhibits related to space & Aeronautics. Lunch on own. 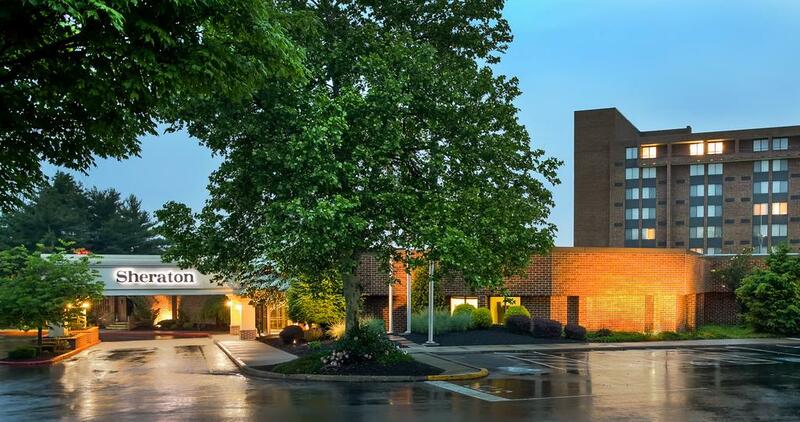 You will also be given time to visit museum of Natural history (1 hour and 30 minutes) Proceed to Hershey’s Chocolate world & enjoy a ride depicting the various stages of chocolate making. Dinner at Indian restaurant & check into Hotel. 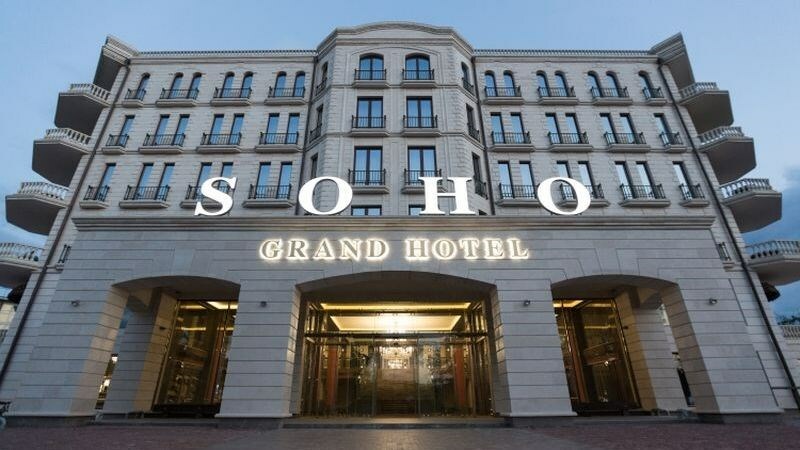 After breakfast, our representative will pick you up from the hotel for airport transfer based on your individual flights (please note that check out time is 11 am). Packed breakfast option is not available for passengers taking early flight. Continue your journey to Orlando. 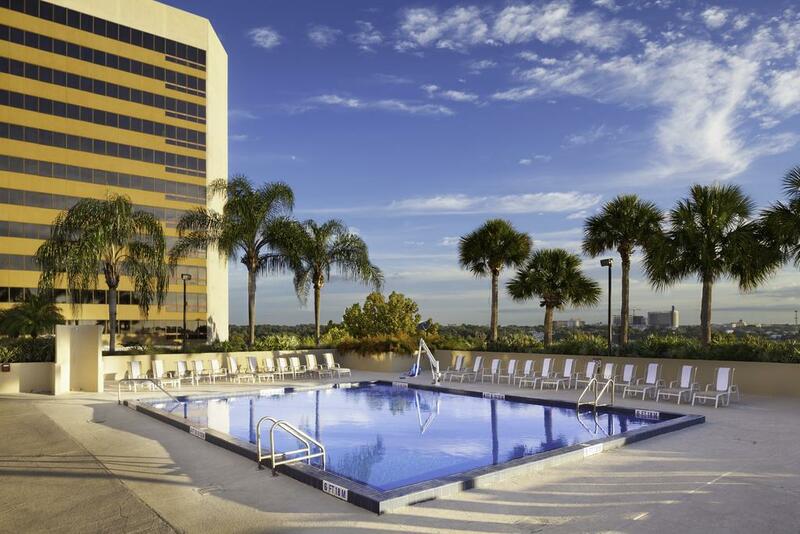 Welcome to Orlando, FL!!! 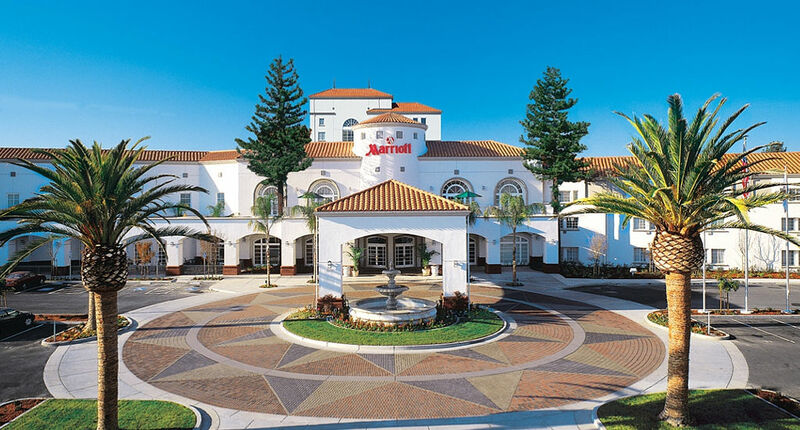 You will be picked up by our representative from baggage claim and dropped off at the hotel (check in time is 3 pm). Dinner at Indian restaurant (walking distance from the hotel). overnight at hotel. After breakfast, please check with the front desk regarding shuttle timings to Magic Kingdom. This will be a round trip transportation provided from the hotel. 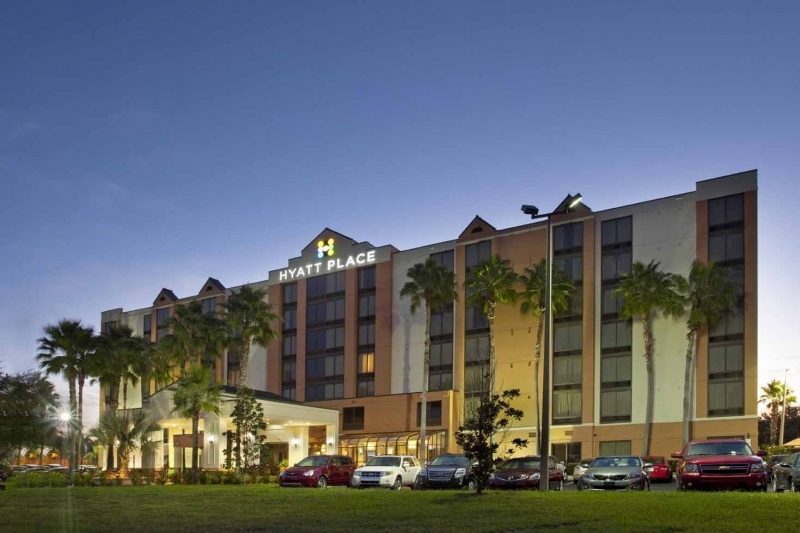 Enjoy a full day at the park.overnight at hotel. 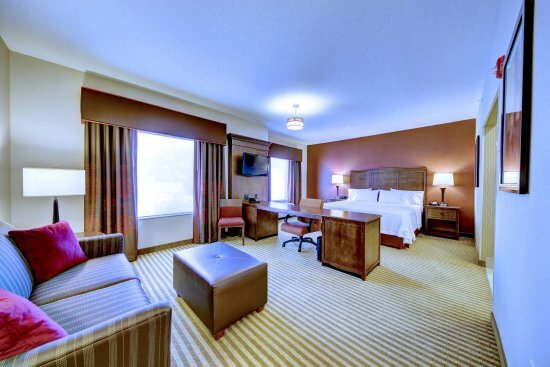 Enjoy the cruise overnight stay at cruise. 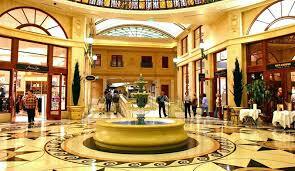 Our representative will pick you up from the port at 9 am from the cruise terminal upon disembarking. Hotel check in time is 3 pm. You are free to leave your luggage with the bell desk and enjoy some shopping time at Premium Outlet mall close to your hotel. Enjoy free day on own. Evening dinner at Indian restaurant. Overnight at hotel. After breakfast, enjoy a full day at Disney’s EPCOT. Please check with the hotel regarding hotel shuttle. This will be a round trip transportation provided from the hotel. Enjoy a full day at the park. Dinner at Indian restaurant (walking distance). Enjoy breakfast at the hotel. 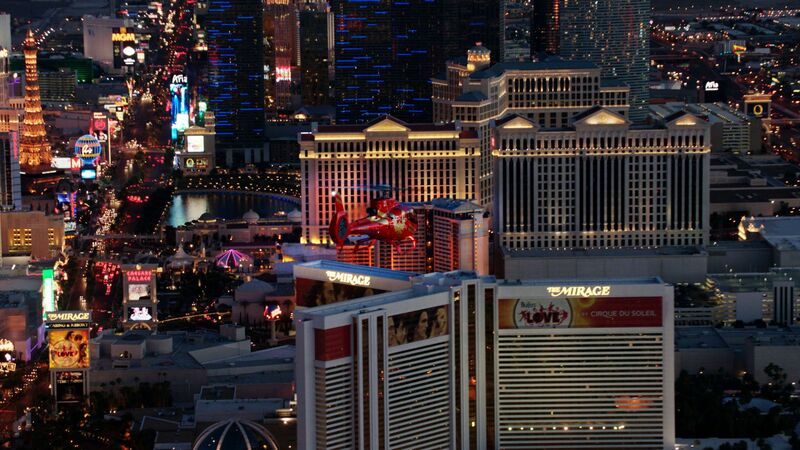 Our Representative will pick you up from the hotel for airport transfer to Las Vegas Welcome to LAS VEGAS!!!! Your pick up will be done by our airport representative at Baggage claim for Domestic passengers on private basis. 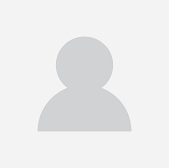 (in order for us to coordinate the pick-up, we need a valid contact number for the passengers). 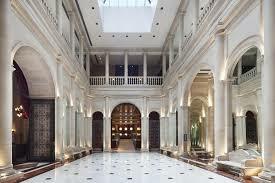 Check into Hotel PARIS (Check in time 3 PM). 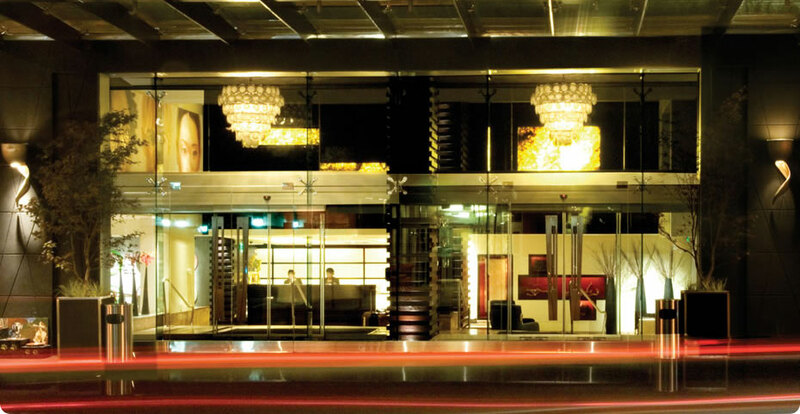 Meet your tour manager at 6 pm in the hotel lobby to start the tour. Enjoy a wonderful buffet dinner at Indian restaurant. 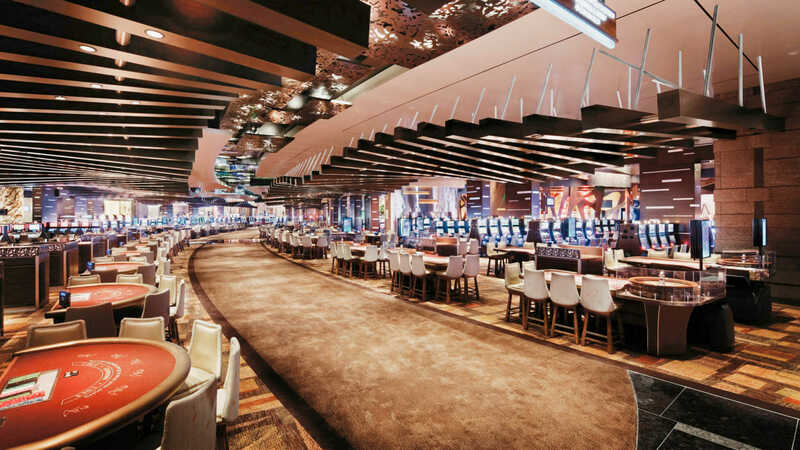 Take a ride 46 stories up in an Exhilarating, adrenaline charged glass elevator of Eiffel tower in PARIS hotel to get an amazing 360 degree views of the city. 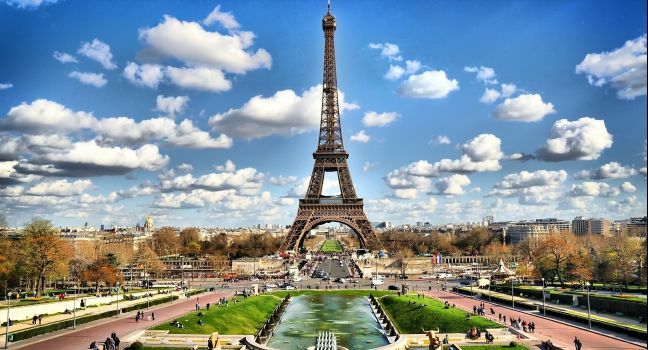 This attraction is half scale replica of world famous Paris, France Landmark and the views of bright, colorful lights are unmatched from the top. Overnight at hotel. 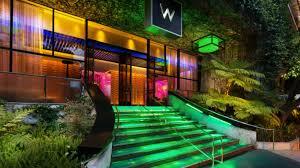 After buffet breakfast at the hotel, have an early start & depart for Los Angeles. Stop for lunch enroute. Visit OUE Skyspaceand experience a Panoramic 360-degree View from the second tallest building West of Mississippi. Proceed for city tourof Los Angeles. Dinner at Indian restaurant. Check into Hotel for Overnight stay. 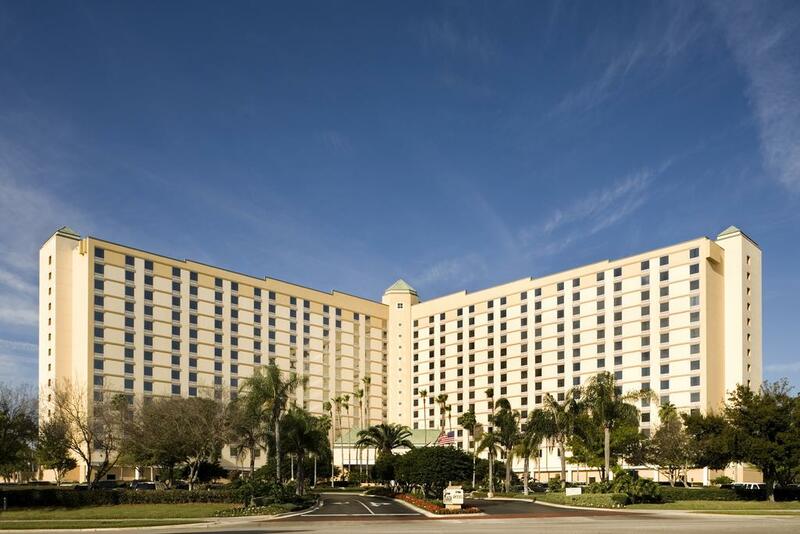 After breakfast at the hotel, You will then be taken to Universal Studiosto enjoy the full day at the park. 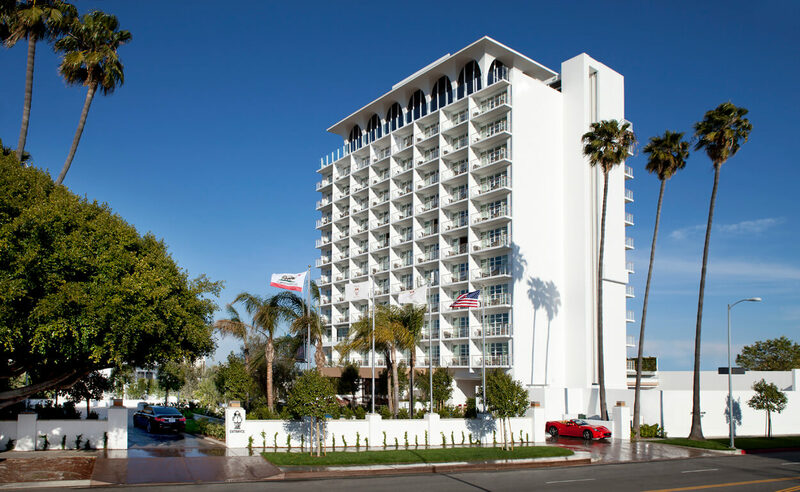 This Sprawling Amusement park with thrilling theme rides, restaurants, shows, shops and one of the oldest real working movie studio in use is definitely a unique & fun filled experience for the whole family.From there, drive to Santa Monica Beach& enjoy a relaxed time at the Pier. With a carousel, an arcade, an amusement park, restaurants, the Santa Monica Pier offers a wide range of activities for the whole family. Drive to Indian restaurant for dinnerEvening Dinner at Indian restaurant. Overnight at Hotel. 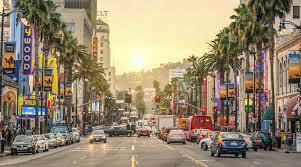 ****** the itinerary in Los Angeles is subject to change based on traffic conditions. Today after breakfast, you will drive to Solvang (approximately 3 hours). Also known as Danish city of California, Solvang is known for its’ untamed beauty and perfect weather all throughout the year. Enjoy Lunch on own. You will take a historic 25-minute ride though the city’s downtown in a Horse trolley (IF OPEN). Board your bus & drive to San Francisco (approximately 4 hours). Dinner at Indian restaurant & overnight at Hotel. 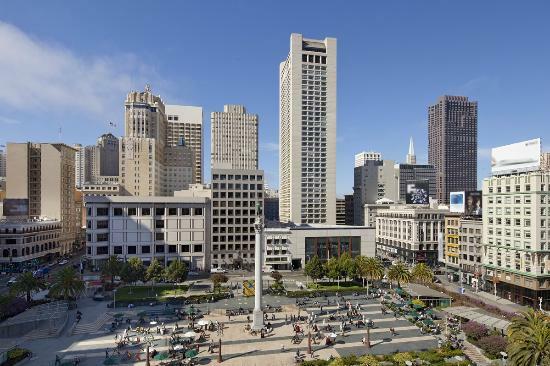 You will have a full day to enjoy in San Francisco today. 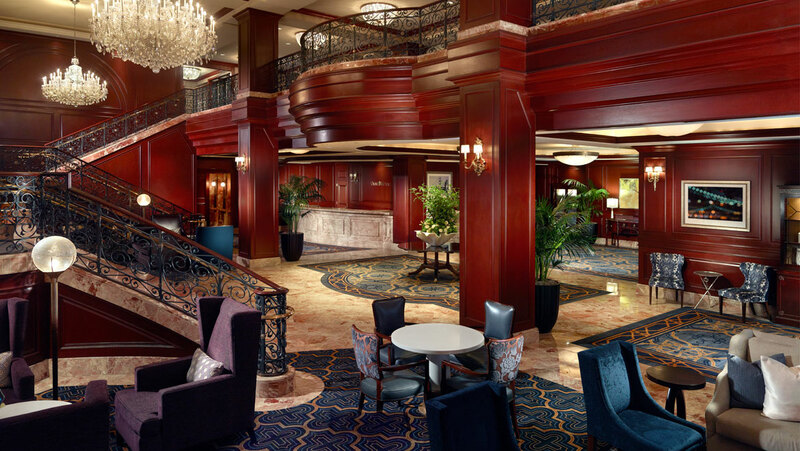 After breakfast at the hotel, enjoy the amazing skyline of San Francisco on BAY CRUISEwith spectacular views of Alcatraz, Golden Gate bridge & Bay Bridge. An Audio tour in 16 languages is available to get detailed history of this great city. Lunch on own. 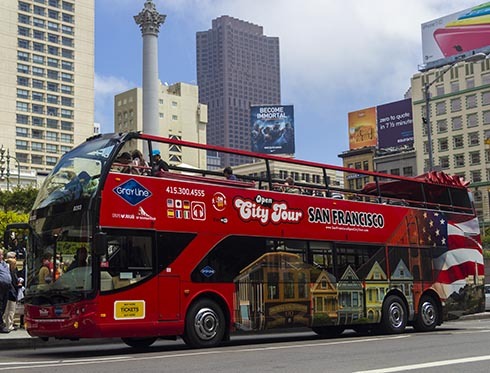 Your guide today will cover all the major highlights of the city in an in-depth city tour including TWIN PEAKS, San Francisco's Twin Peaks are two prominent hills near the center of the city. 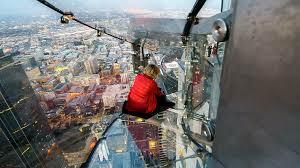 Each one stands at about 922 feet tall, and they offer amazing views of the Bay Area all the way down to the water. Enjoy a wonderful ride aboard Cable car(the world’s last manually operated Cable car system- if operational). Enjoy and Discover San Francisco’s Biggest landmarks and attractions in an awe inspiring 3D movie that has you flying with your feet dangling over the city by the bay. The Flyer SFis the perfect way to end your tour. Dinner at Indian restaurant & Overnight at hotel. Today after breakfast, check out from the hotel (check out time is 11 am). 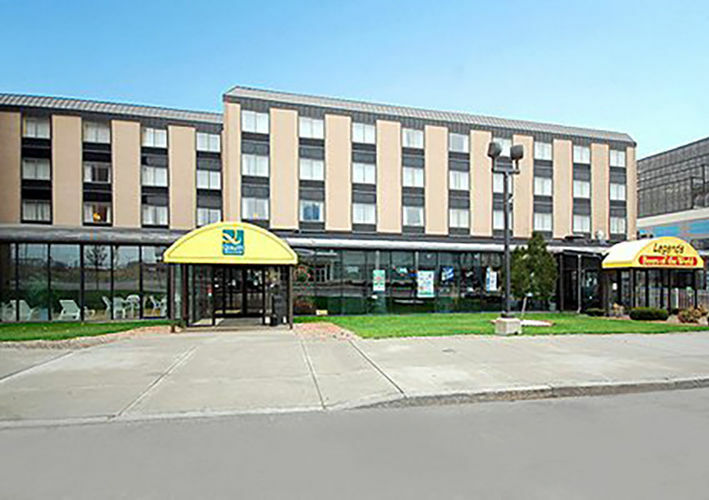 The hotel offers complimentary shuttle to the airport. Please check with the bell desk regarding shuttle timings. If you have any early flight & no shuttle is operational, please take a cab on own. (Shuttle timings is from 5 AM to 9 PM).